What Is The Purpose Of The Standard Dock Light Plus? The problem with most lamps is that they can only point in the one direction. 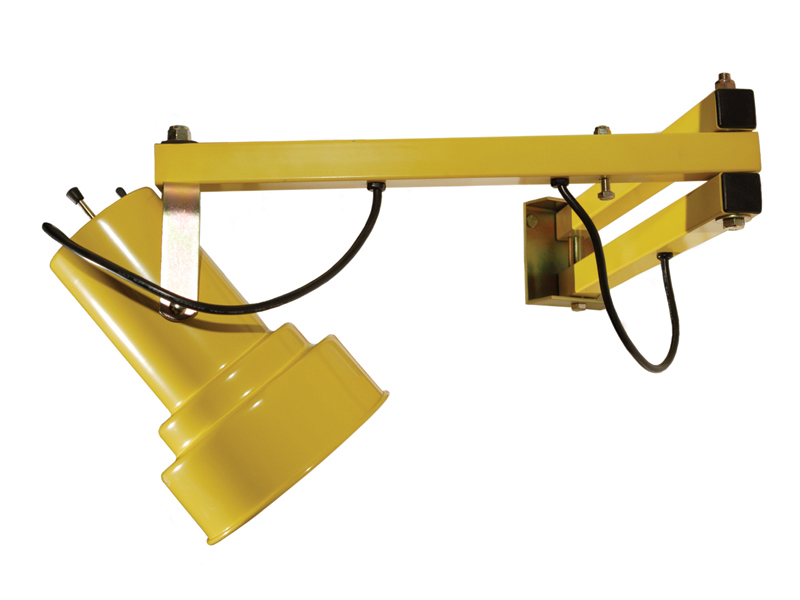 That works if your work is only taking place in one location, but if you require a more versatile lamp, the standard dock light plus is the option for you. The lamp folds out of the way when not in use. 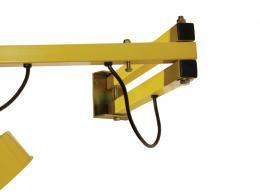 The hinged brackets give you a further 1060mm of expanding and adjusting to work with. The lamp is also mounted on a pivot which gives you a 360 degree range of motion. The lamp can be pointed at what you need and returned once not in use. It works in vehicles, under parts, over engine bays and through darkened corners and aisles. That’s what the “plus” stands for in this standard dock light plus. Where Can The Standard Dock Light Plus Be Used? This light works as a way to provide an adjustable light source to dark places. This means it works with any dark place you need lit up. 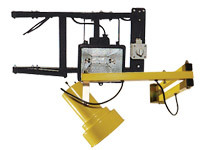 Dark engine bays, shadowy warehouse aisles or dim undercarriages are where the standard dock light plus works best. You’ll see this in mechanic shops, engineering warehouses and storage sheds all around. Who Might Use The Standard Dock Light Plus? The dock light works to give the engineer a bit of extra light on the smaller components he works on. It works to give a forklift driver a bit of extra light on the pallet he’s unloading in the delivery dock. 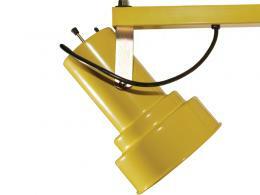 It works as an undercarriage lamp for car and engine repairmen. Sturdy metal construction for a durable lamp. LED bulb also available for energy savings. Check the catalogue for model options. 1 year warranty on all parts and labour.